Happy Easter, Mouse! (If You Give...) Board Book Just $4.30 Down From $7! You are here: Home / Great Deals / Amazon Deals / Happy Easter, Mouse! (If You Give…) Board Book Just $4.30 Down From $7! Happy Easter, Mouse! (If You Give…) Board Book Just $4.30 Down From $7! 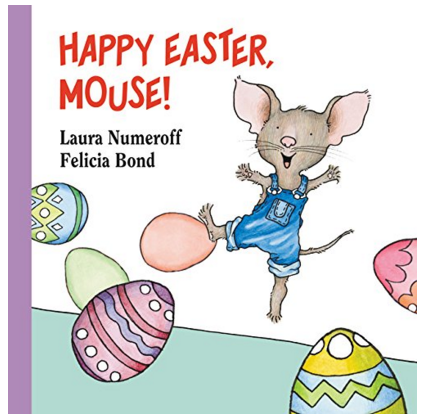 Head over to Amazon and score this great deal on Happy Easter, Mouse! (If You Give…) Board Book for just $4.30 down from $7! Get yours now while it lasts! Join Mouse from If You Give a Mouse a Cookie as he tries to figure out who’s leaving Easter eggs all over his house!